The daily struggle for survival is the main feature of Minecraft on a par with construction. As you know, the pocket version offers players to build unique mechanisms not only for protection or entertainment but for food production. 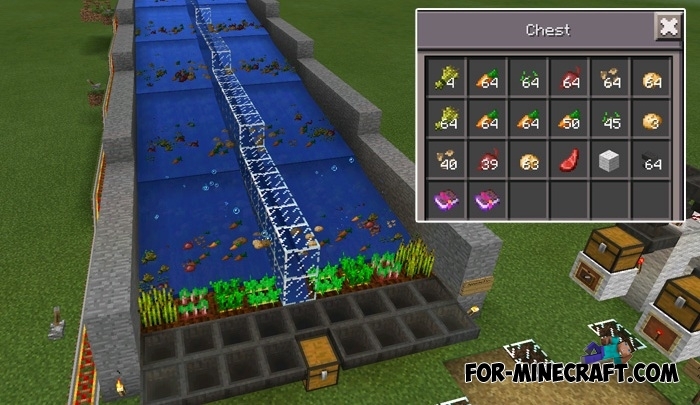 This map will teach you how to properly and quickly build complex mechanisms that allow you to grow agricultural plants (do not miss the chance to get tens of times more new plants, mechanisms and tools, as well as food, by installing the More Food Mod). 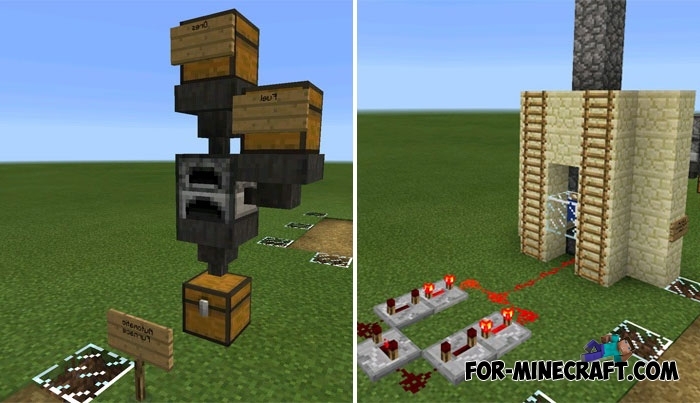 There are completely different mechanisms, but they all work without the use of command blocks, which allows playing this map on any version of MCPE from 0.16 to 1.2.6.